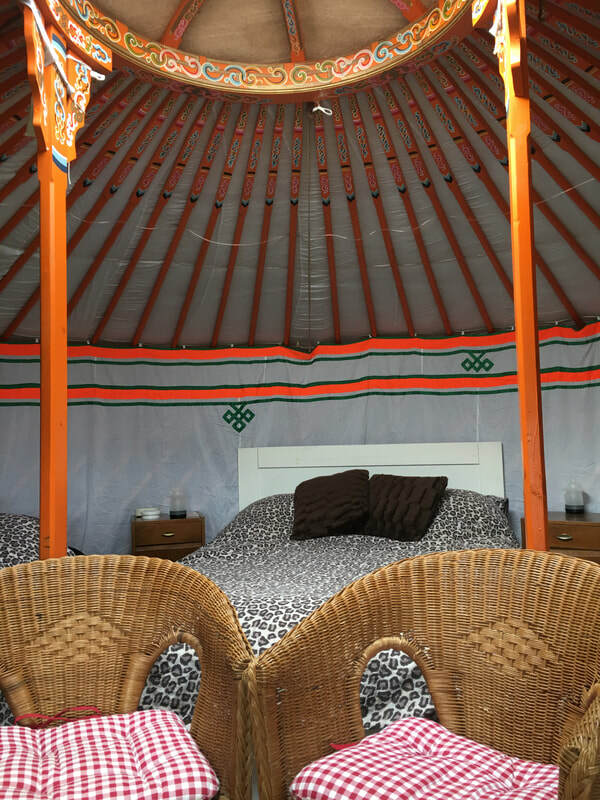 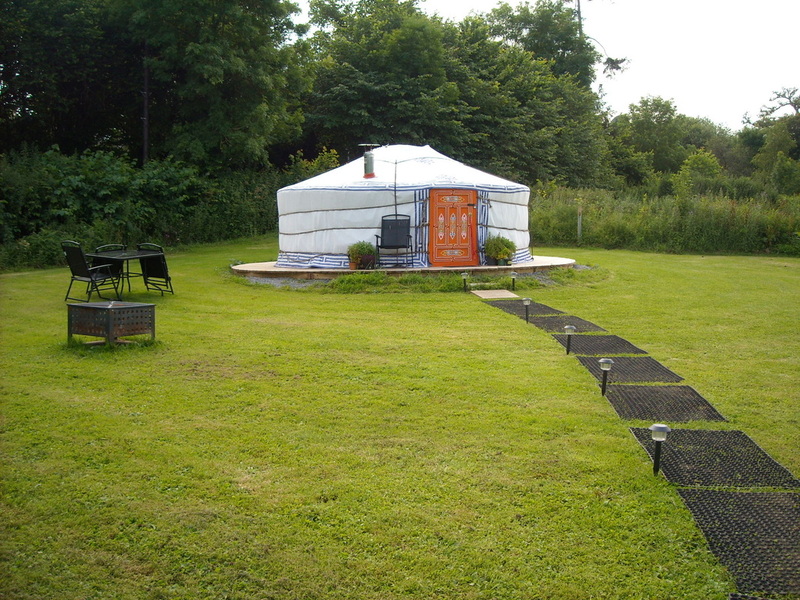 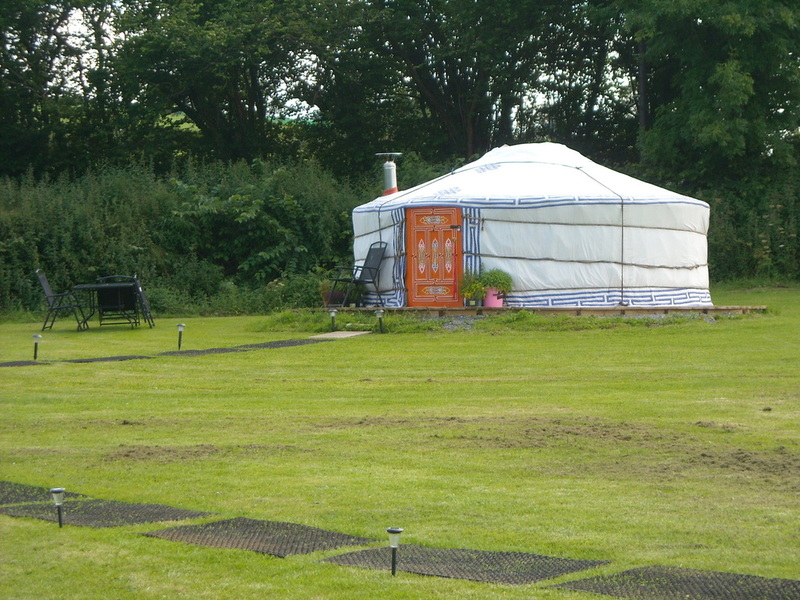 Dart Yurt - sleeps up to 4 persons - DEVON YURTS Glamping in Style! 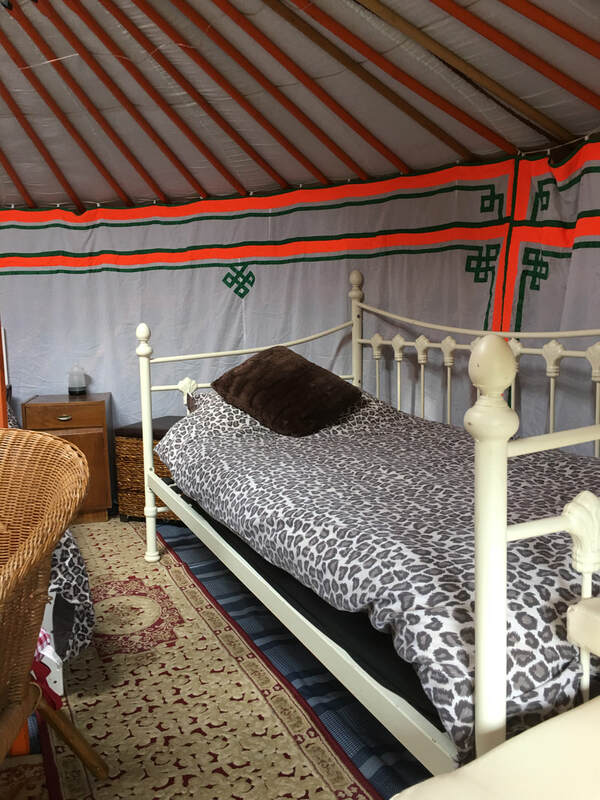 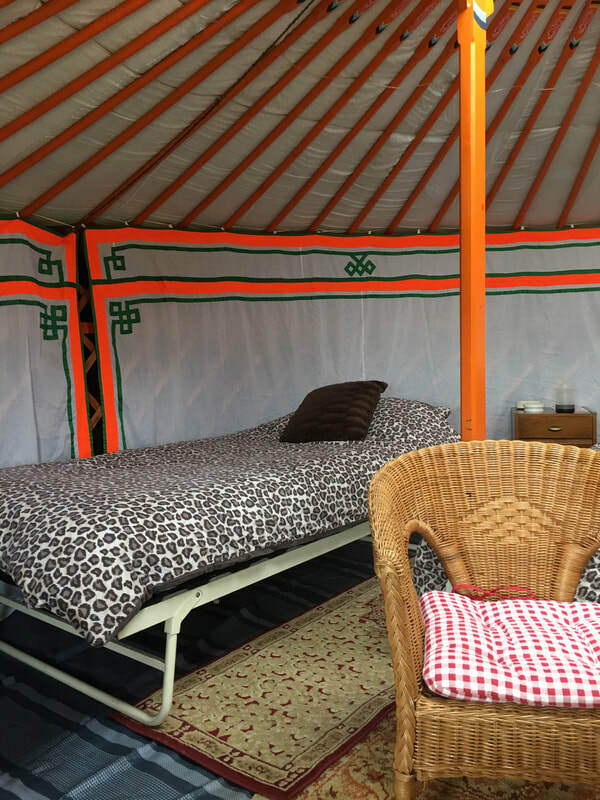 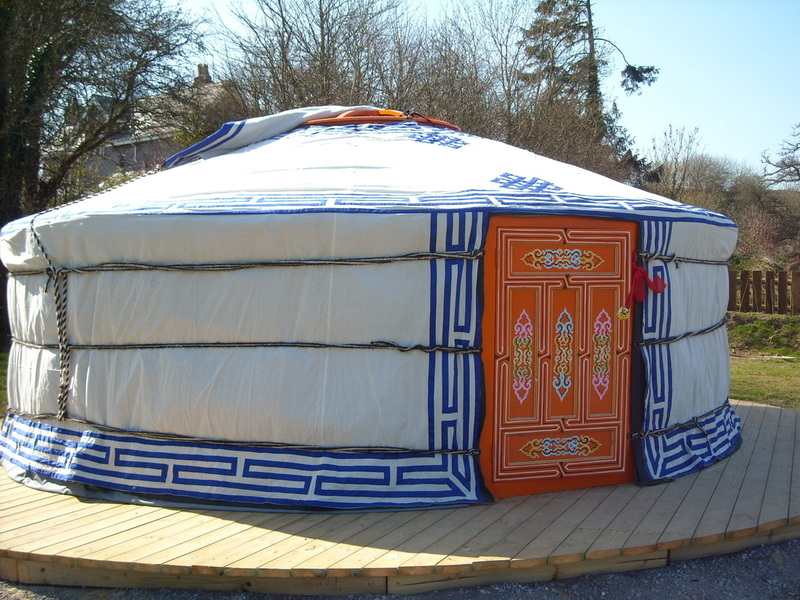 Our Dart yurt and the Tamar yurt is a 5 metre diameter authentic Mongolian yurt which has been hand painted and decorated with traditional symbolic designs. 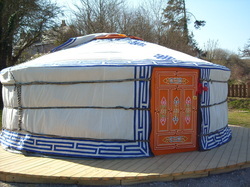 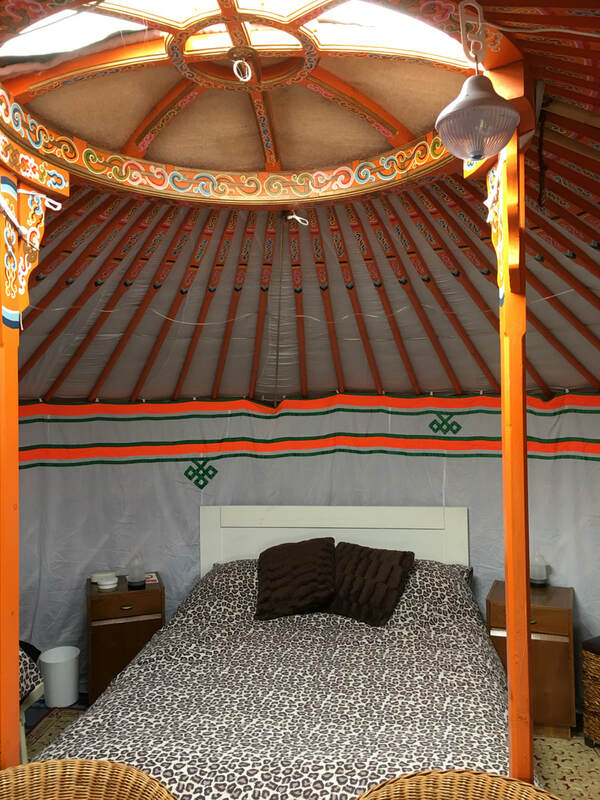 The yurt has been imported from Mongolia, taking 3 months to arrive on a boat to the UK. 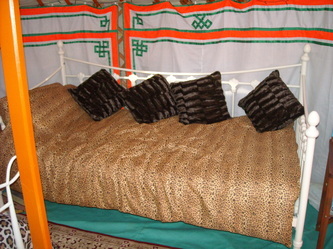 The inner walls (khana) are covered from view by a liner with more symbolic hand stitched designs. 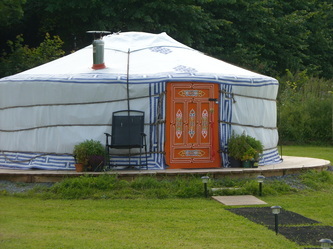 The Dart Yurt has orange painted door and roof rafters and has 2 decorated dragon posts supporting the crown wheel. 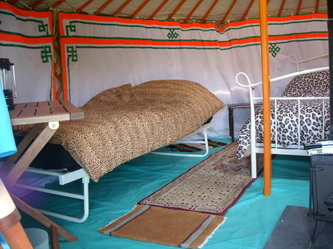 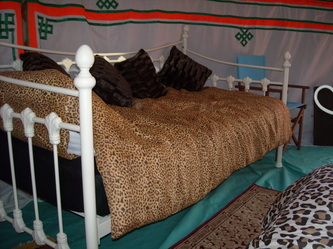 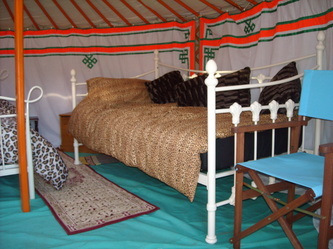 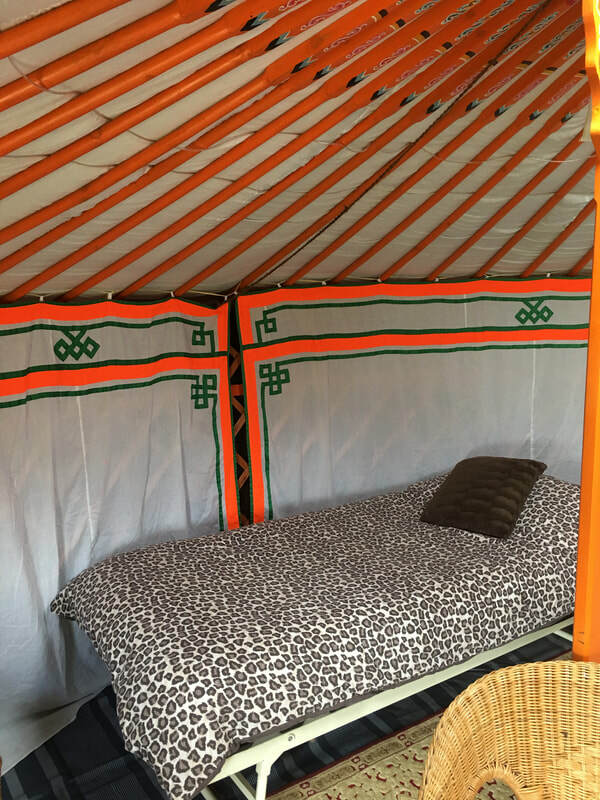 The Dart yurt can sleep up to 4 persons in one double bed and 2 single beds. 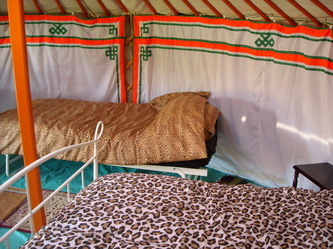 It has a sweet little log burning stove in the yurt, complete with fire guard. 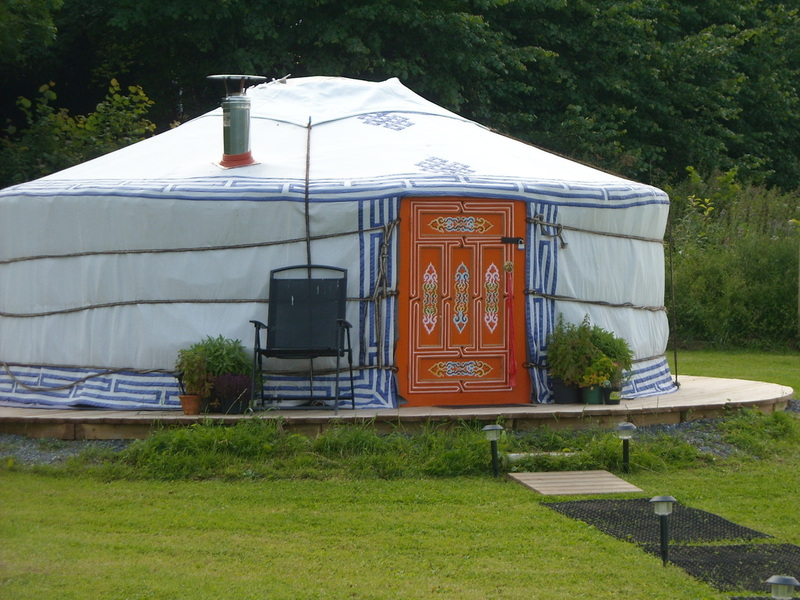 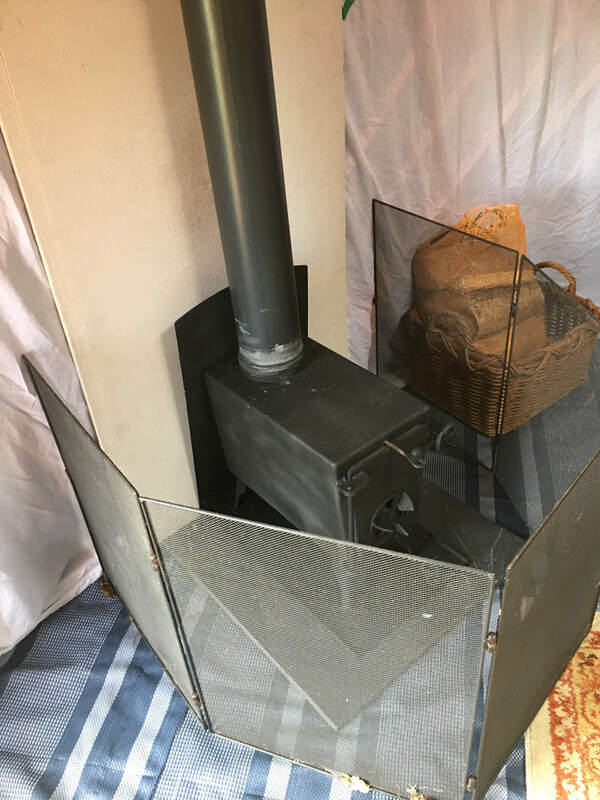 The stove can be used to heat the yurt, or just to provide a welcoming warming fire for our guests on those chillier evenings. 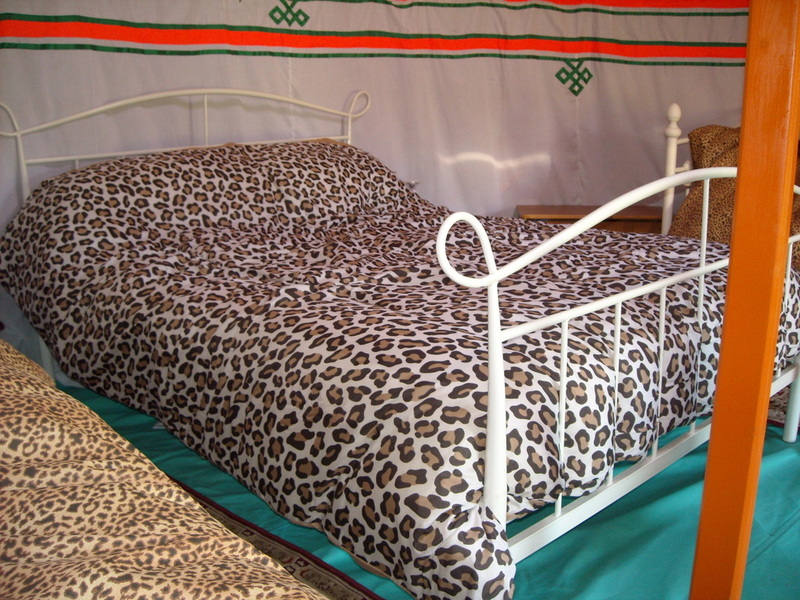 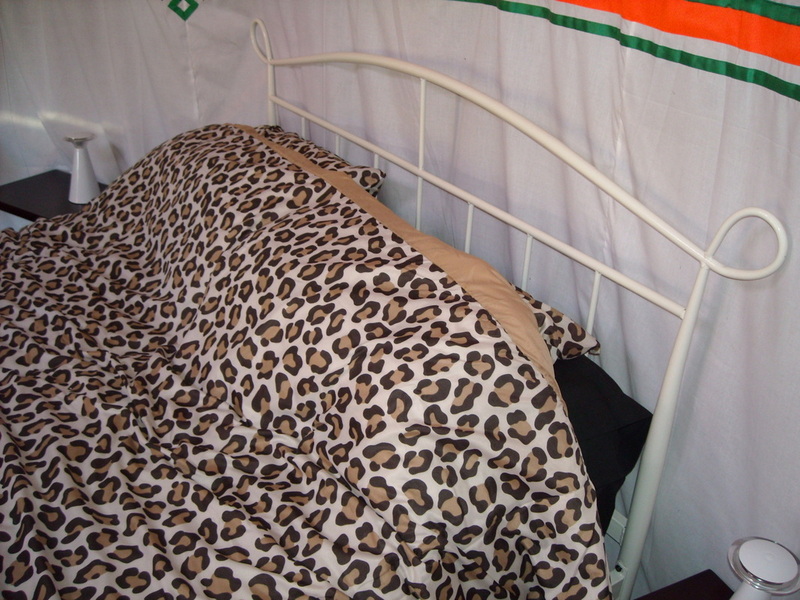 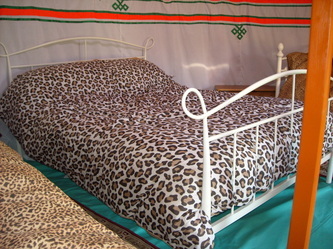 Our beds have comfy memory foam mattresses with some animal print bedding for those who love glamping in style!